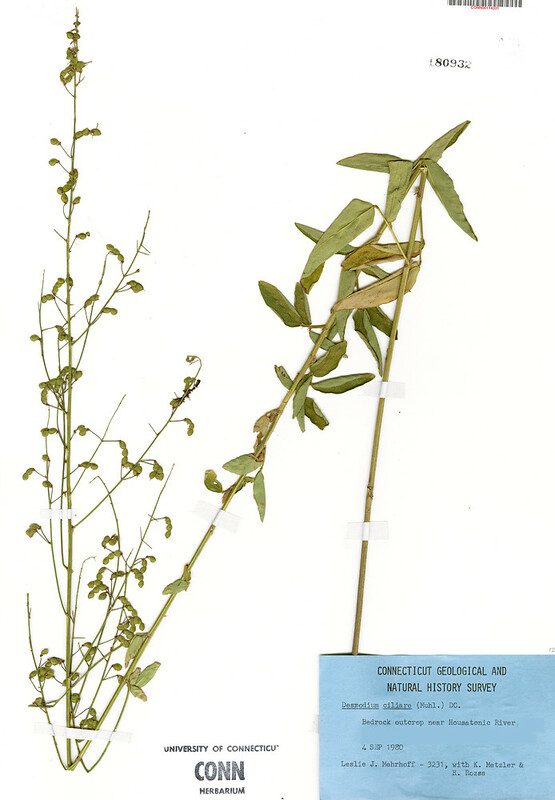 Desmodium ciliare (Muhl. ex Willd.) DC. ex Loud. 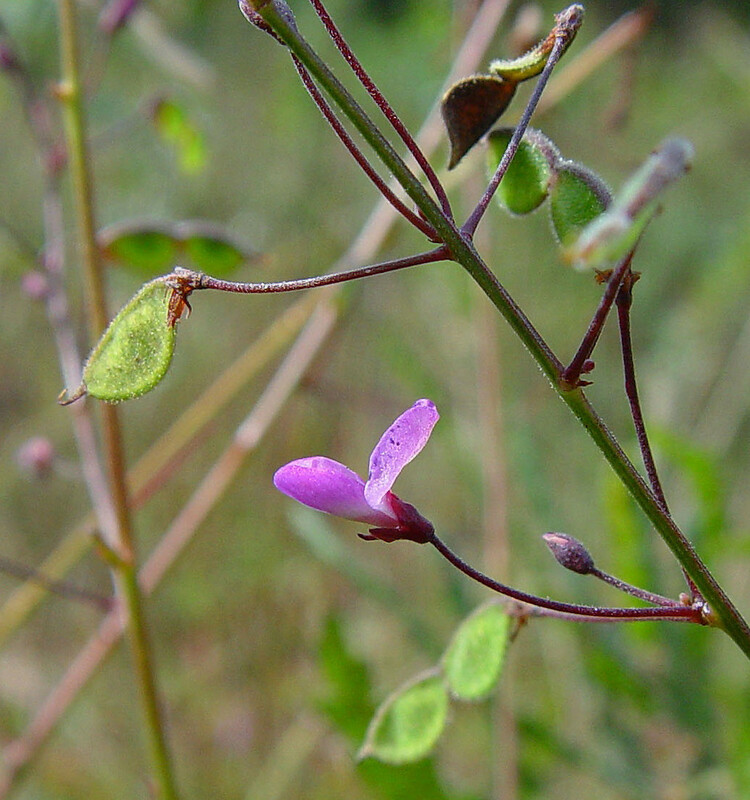 Hairy small-leaved tick-trefoil is native to southern and eastern North America, but reaches the northeastern limit of its range in New England. 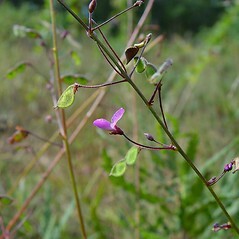 It has the shortest leaflets (1.5 - 3 cm) of any of the tick-trefoils (Desmodium). 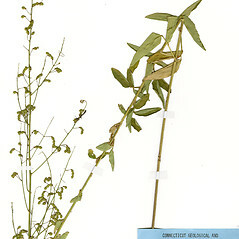 terminal leaflets mostly 4-6 cm long and 2.5-4 times as long as wide, and stems uncinated-pubescent (vs. D. ciliare, with terminal leaflets 1.5-3 cm long and mostly 1.5-2.3 times as long as wide, and stems pilose-pubescent). 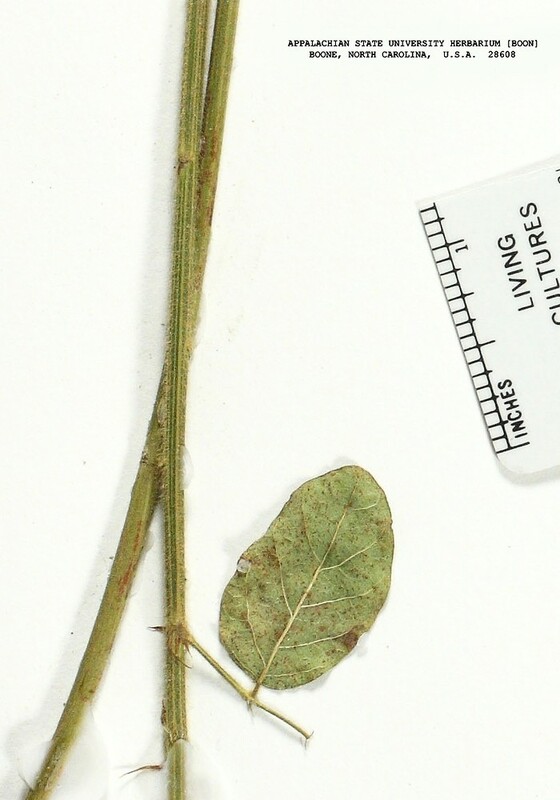 petioles mostly 12-25 mm long, about as long as the associated lateral leaflets on the mid-stem leaves, and stems and leaves glabrous or sparsely pubescent (vs. D. ciliare, with petioles mostly 2-18 mm long, much shorter than the associated leaflets on the mid-stem leaves, and stems and leaf blades usually pubescent). 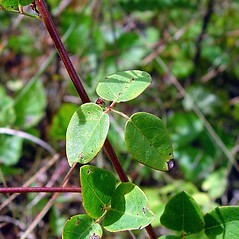 Hedysarum ciliare Muhl. 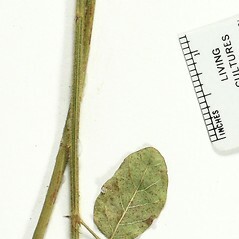 ex Willd. 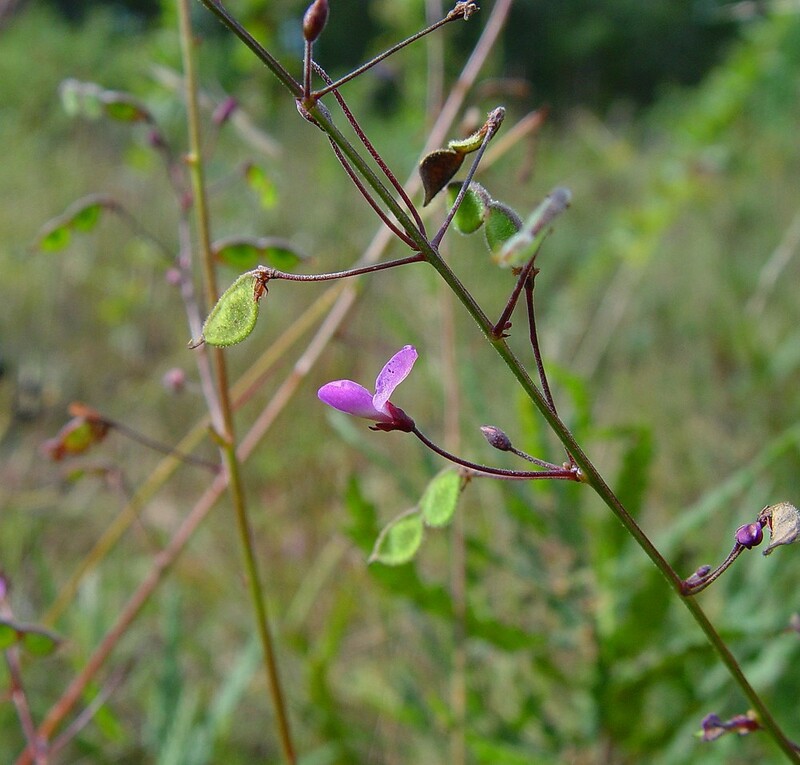 hairy small-leaved tick-trefoil. 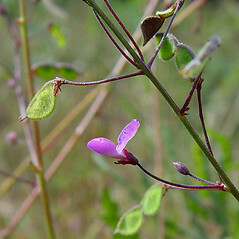 Hedysarum ciliare Muhl. 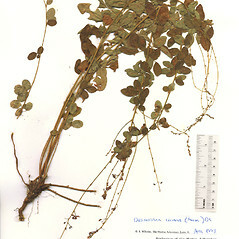 ex Willd. 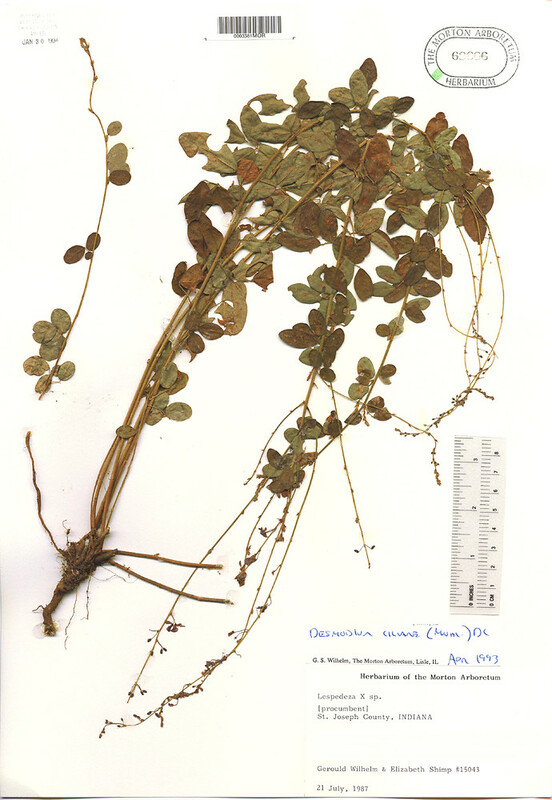 ; Meibomia ciliaris (Muhl. ex Willd.) Blake • CT, MA, RI. 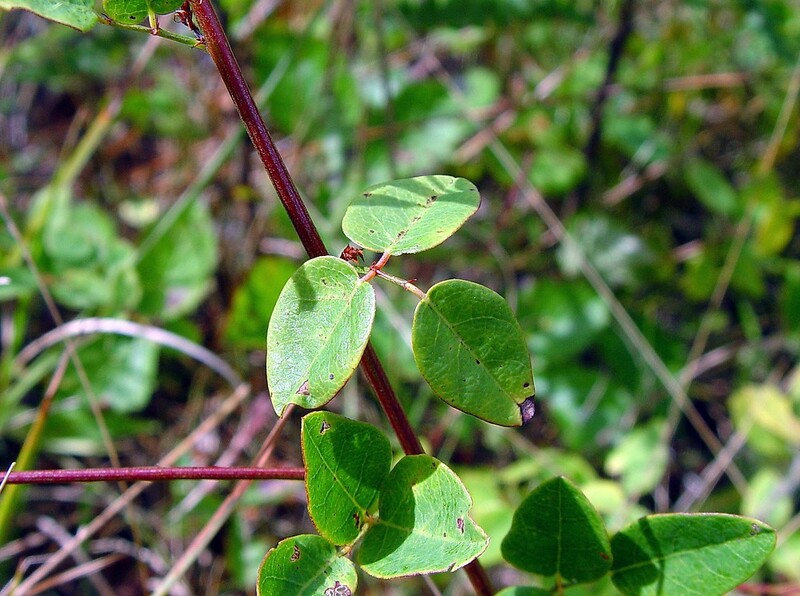 Woodlands, forest borders, dry openings.